Happy Monday, thanks so much for taking the time to stop in today, you put a big smile on my face! I love to see what everyone has been creating, you are all so talented! You have to stop in at Orphan’s With Makeup to see her amazing work like this Queen Anne Sideboard makeover. 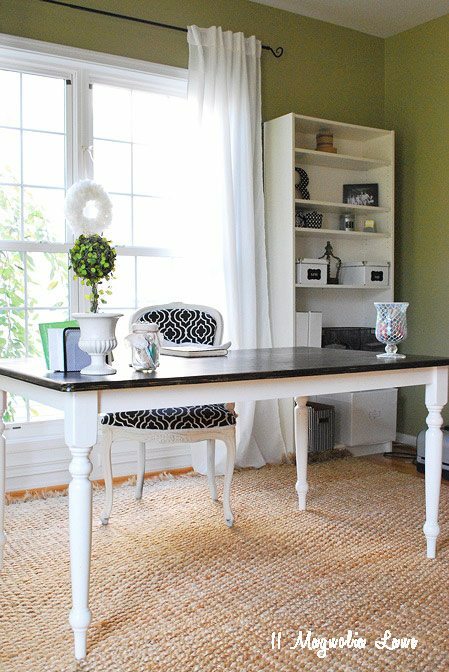 This is just one of many beautiful transformations she shares on her fabulous blog. Chronicles Of Home has made her little girls room a dream using colors of coral, navy and aqua. 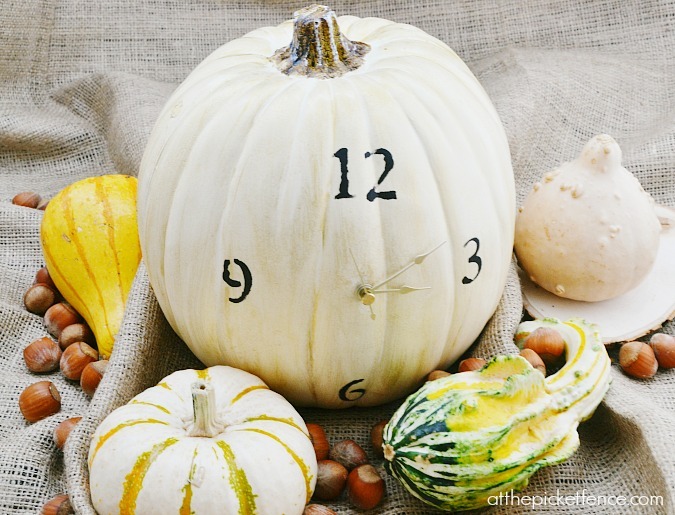 Have you seen At The Picket Fence pumpkin clock, simply genius! Stop in and see 11 Magnolia Lane’s gorgeous office transformation! 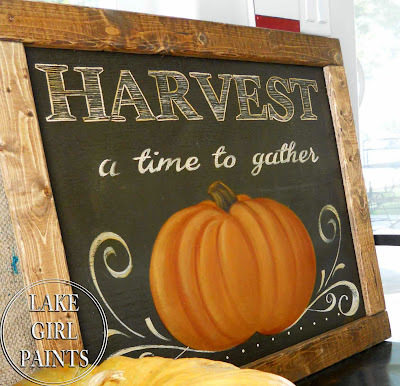 Lake Girl Paints once again has made the most beautiful fall sign. 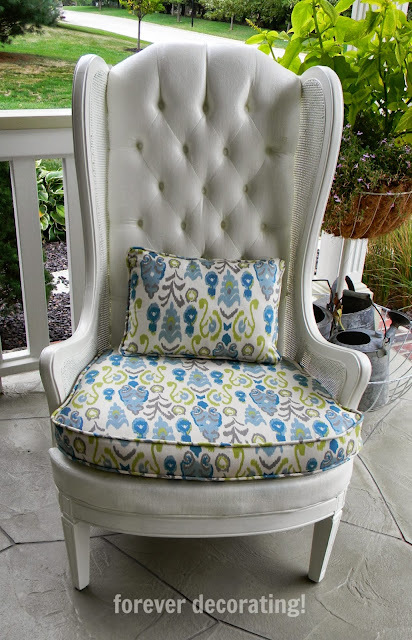 Did you know you could paint a chair? Seriously, head on over to Forever Decorating for the tutorial! Ready for a gorgeous fall house tour, head on over to Setting For Four. 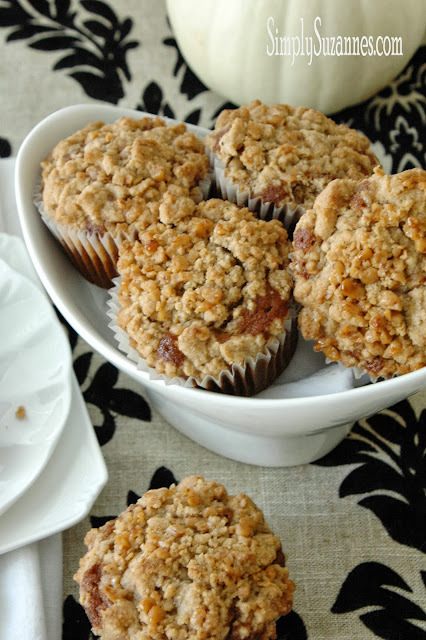 The perfect mix, pumpkin, chocolate and toffee streusel, oh my! Simply Suzanne’s has the recipe for you. Thanks for hosting once again Kristin!!!! Thank you Kristen for hosting such a great link party! Thanks so much for hosting . . . and thank you so much for the great feature! Thanks for sharing such lovely features and for hosting. Thanks for hosting Tuesday Treasures. Always enjoy the features. Love all the features! Thanks for having us, Kristin! Great feature on the Queen Anne sideboard – it was a beauty. Thank you for hosting. I’m so happy to be back sharing with my blog buddies again! I love it all, but especially that Queen Anne sideboard Kristin. Thanks for hosting and have a great week. Hi Kristin – Once again thanks for the feature on my Antique Sideboard. I’m so grateful to have been picked amongst so many great projects. Can’t wait to look at all the new stuff that’s been linked today. You are so welcome, it is just gorgeous! Thanks for hosting, Kristin. Can’t wait to see all the fun link ups. Thank you Kristin! Wow, I really loved the first feature – everything about it–the buffet, the color, the planked wall – such a great vignette. Thank you so much for hosting, Kristin! Loving that side board too- gorgeous! Great features Kristin! Thanks so much for hosting.
) I may return yet again since I book marked it.